Each and every procedure will be performed by a highly-skilled professional. 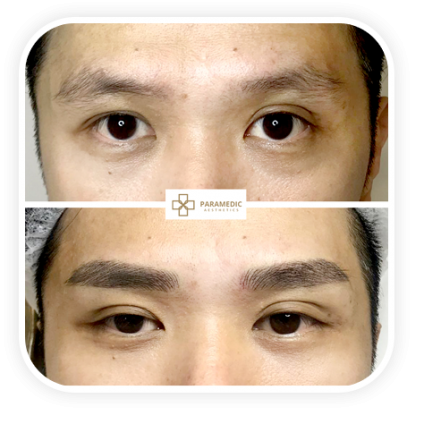 Leave your details and our eyebrow specialist will get in touch to schedule your appointment. registered with the DNC registry. All information collected is strictly confidential and Paramedic Aesthetics would not share collected information with a third party. Valid for customers aged 21 and above. 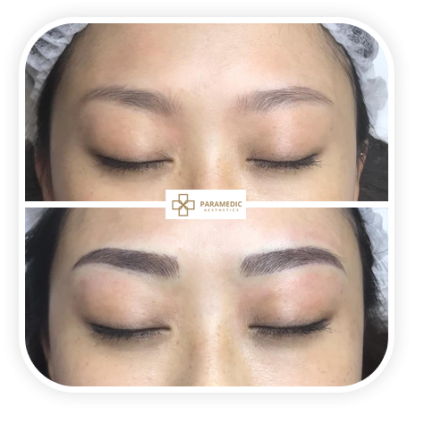 With a single session, Paramedic Aesthetics aims to deliver up to 80% desired intensity and 60% colour retention 6 months after the first embroidery. 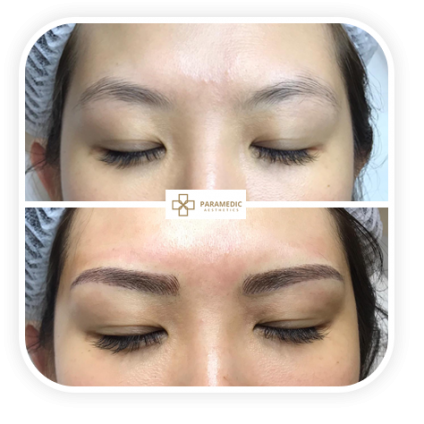 It is recommended that customers schedule the second session a month after the first, to ensure even colour healing and retention for 12 months or more. Promotional touch up @ $188 is valid for 6 months from the day of the appointment. 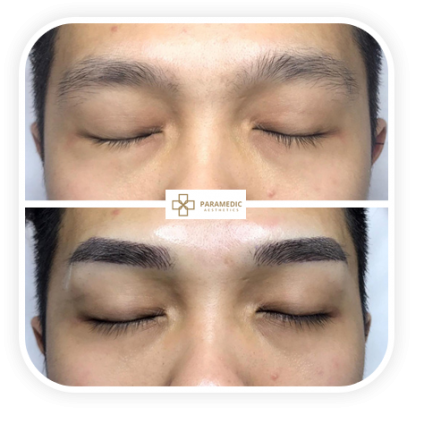 At Paramedic Aesthetic, we are dedicated to giving some much-needed attention to one of the most overlooked parts of the human face; the eyebrows. 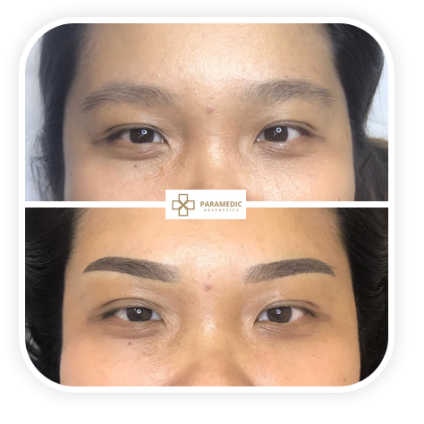 Our beauticians at Paramedic Aesthetic practice the 6HD embroidery technique where, natural pigments are introduced into your skin for a more natural, well-groomed look. 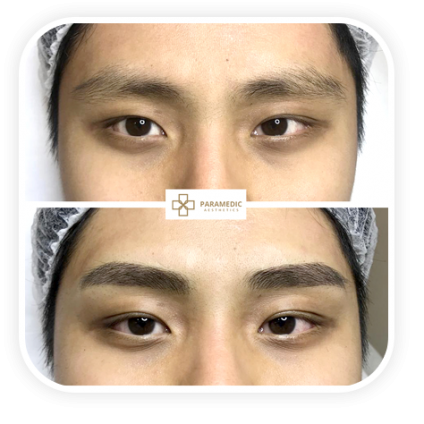 These eyebrows can be removed or even adjusted to suit your face with time. Book a free consultation now. Our highly trained therapists will explain what the procedure involves and arrange for an appointment at the salon to assess if and how the procedure can fit your needs. 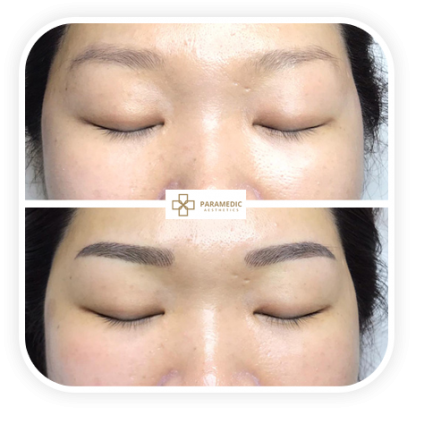 Our award-winning 6HD embroidery technique gives you naturally beautiful eyebrows. Our cosmetic procedure is entirely painless and non-invasive. 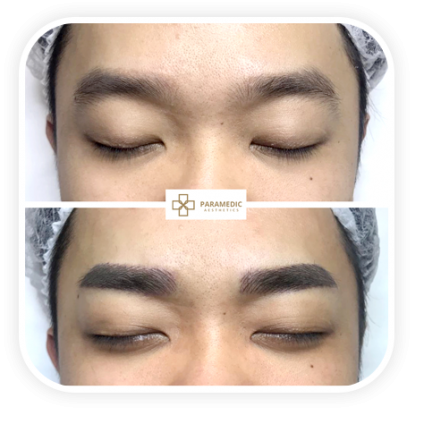 Naturally beautiful eyebrows for that well-groomed look.